The Children’s Court of NSW was established nearly a hundred years ago. In the century of its existence, its jurisdiction over young offenders has evolved considerably. In more recent times, this evolution has been guided in part by shifts in “law and order” initiatives juxtaposed against a growing emphasis on the rights of young people. This has produced a range of reforms that have attempted, with varying success, to find the appropriate balance between meeting young offenders’ needs and punishing their “deeds” (that is, offences) through sentencing. The level of importance given to the goal of rehabilitation at sentence has been an intrinsic part of finding this balance. 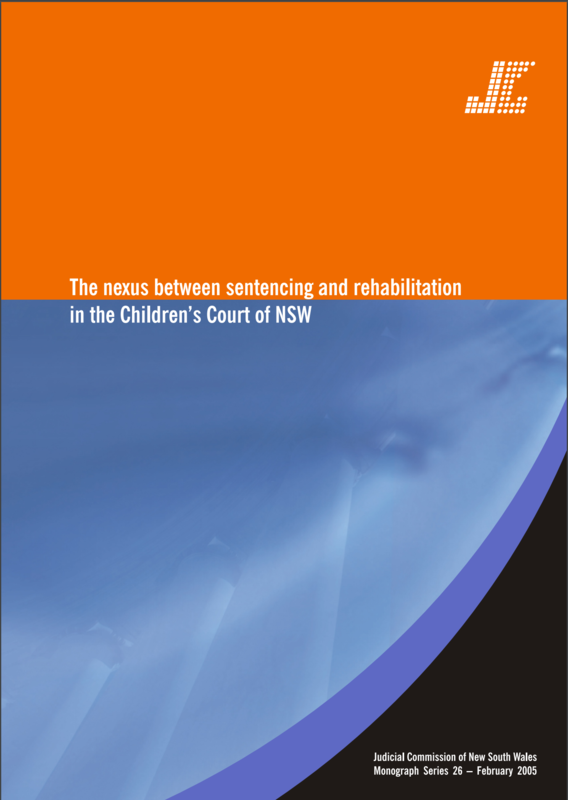 This monograph explores this aspect of sentencing and highlights the means available to the Children’s Court in its jurisdiction over youth offending to achieve the goal of rehabilitation at sentence.